Why are McMansions being built in Sonoma? Because they want McMansions. We get a lot of emails. Lately, the emails we’ve been getting are about our lawsuit in Sonoma. A quick refresher: a homeowner wants to build three large homes in a district that only allows large homes, and the city unlawfully denied their application to build large homes. 1. R-HS (Residential – Hillside) District. The R-HS zoning district is applied to hillside areas of the city that are suitable for very-low density single-family residential and agricultural land uses. The maximum allowable density is one dwelling unit per 10 acres. The R-HS zoning district is consistent with the Hillside land use designation of the General Plan. 2. R-R (Residential – Rural) District. The R-R zoning district is applied to areas where the city intends to preserve low density, single-family neighborhoods with rural character. The maximum allowable density is two dwelling units per acre. The R-R zoning district is consistent with the Rural Residential land use designation of the General Plan. 3. R-L (Residential – Low Density) District. The R-L zoning district is applied to areas primarily suitable for detached single-family dwellings and duplexes. Clustered housing and other types of residential development may be allowed with a planned development permit (SMC 19.54.070). The minimum density for new residential construction is two dwelling units per acre and the maximum density is five dwelling units per acre. The R-L zoning district is consistent with the Low Density Residential land use designation of the General Plan. Many of the e-mails we get raise the issue of how large and unaffordable the new homes will be. If you carefully read the above description of the Hillside Residential district, you can see that the maximum density is one dwelling unit per 10 acres. For reference, here is an overhead photo of a portion of Hollister, CA, where the maximum density is one dwelling unit per acre. Those are some pretty massive mansions. If you squint you can see some of the comparatively tiny automobiles parked in driveways. This photo shows a neighborhood in Castro Valley. The density here is 13.5 units per acre, shown at the same scale as above. You can fit roughly four Castro Valley homes on one Hollister lot. Sonoma’s 0.1 units per acre zoning is several times more expansive than either Hollister or Castro Valley. In fact, the only thing you can legally build in such a district is a large home (optionally, with a small ADU), as is proposed in our suit. The city of Sonoma should not be surprised that someone wants to build a mansion in a district that, after years of democratic process, community outreach, and planning, has been designated as only allowing mansions to be built there. If the City of Sonoma wants to take its obligation to provide affordable housing seriously, it must amend its zoning to support affordable housing. Mansions are not affordable to the working class. Apartment buildings can be, but only if we allow them to be. Many of the e-mails we receive about this case point to the size of these proposed homes as the chief issue. In fact, homes of this size are the only thing permitted to be built on this land. It would seem that the City of Sonoma had second thoughts about their decision to allow large homes here, resulting in what we allege to be an unlawful denial. There is a very well trodden route to reducing the number of large homes built: an amendment to the city’s zoning ordinance to ban large homes. Such a process involves months of community outreach, democratic engagement, and ample time for feedback on the plans. 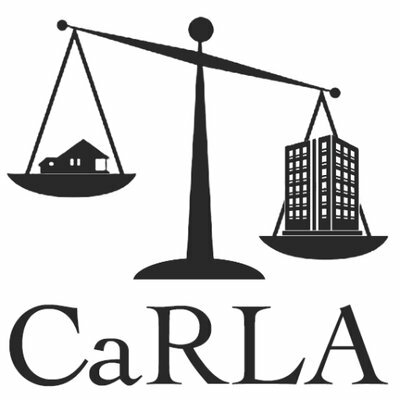 Circumventing that extensive process with an ad-hoc denial outside of the legal process sends a message to affordable housing developers that, even if they follow all the rules, their project can be turned down in a blatant disregard of the rule of law. Affordable housing depends on certainty in this approval process; any delay might jeopardize their grant applications, financing, or other deadlines, and render the entire project infeasible. Though the homes in our suit may not be affordable in any sense of the word, Sonoma has sent a very clear message that affordable developers shouldn’t waste their time or their money there. Our mission is to restore a legal environment in which California builds housing equal to its needs. Ensuring that cities like Sonoma uphold the rule of law is a major part of our work that directly benefits affordable housing developers.